Describe the shoot, it looks like you two were simply hanging out. Cameron and I have shot a lot together, (below is an image from a previous shoot) so in a sense it felt like that when we were working, that we were just hanging out. 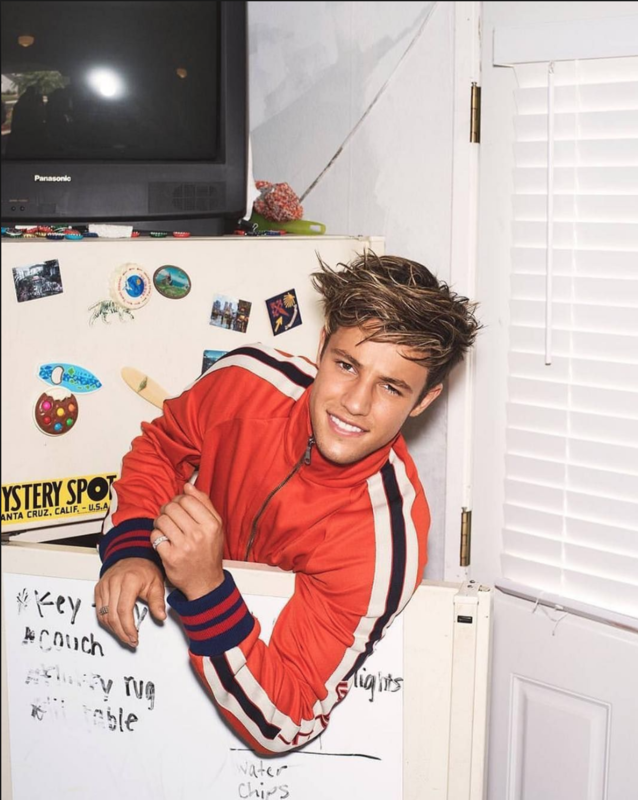 We wanted the story to feel like it could be Cameron’s parallel life as a 23-year old in the suburbs (If he wasn’t one of the highest followed influencers and world famous). The stylist Morgan and I wanted the clothing to feel like they could be pieces from Cameron’s own wardrobe. The house we rented felt like it could be Cameron’s home. Did you direct him at all? Every image is orchestrated. What is amazing about Cameron is the spontaneity and playfulness he brings to set. I find that the final picture always exists somewhere between what was in your head before the shot and what the subject brings to the table. I’ve always approached my work as a living dialogue between my ideas and the person I’m shooting. Did you think twice about what to wear? I wear a uniform everyday. I own 40 of the same black t-shirt and 6 pairs of the same black jeans. I only switch up my shoes and jackets. When I’m working I don’t want to have to think about what I’m putting on in the morning. Was this your first shoot with Rollacoaster? This was my first shoot with Rollacoaster. We have a lot more coming out soon! Where is the magazine based? The magazine is based in London. My favorite city! How many covers have you done with Cameron? This is the third cover Cameron and I have shot together. He is a great friend and collaborator.